Doctor Who is a science-fiction program produced by the BBC. It goes way back to before I existed, debuting in November of 1963. 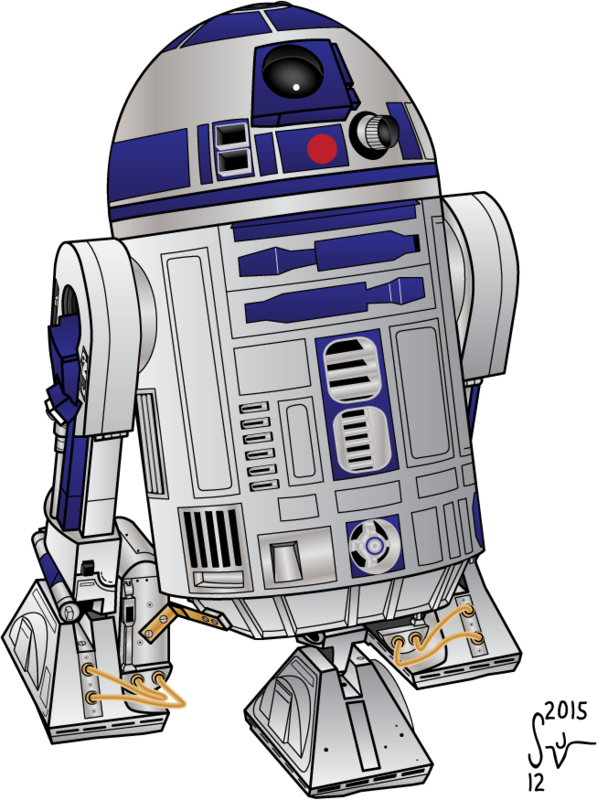 The show originally ran until 1989, minus a couple of setbacks in production, before ultimately going on a long hiatus. A poorly received 1996 joint venture with FOX for a TV movie was all there was to be, until the successful modern relaunch of the series in 2005. 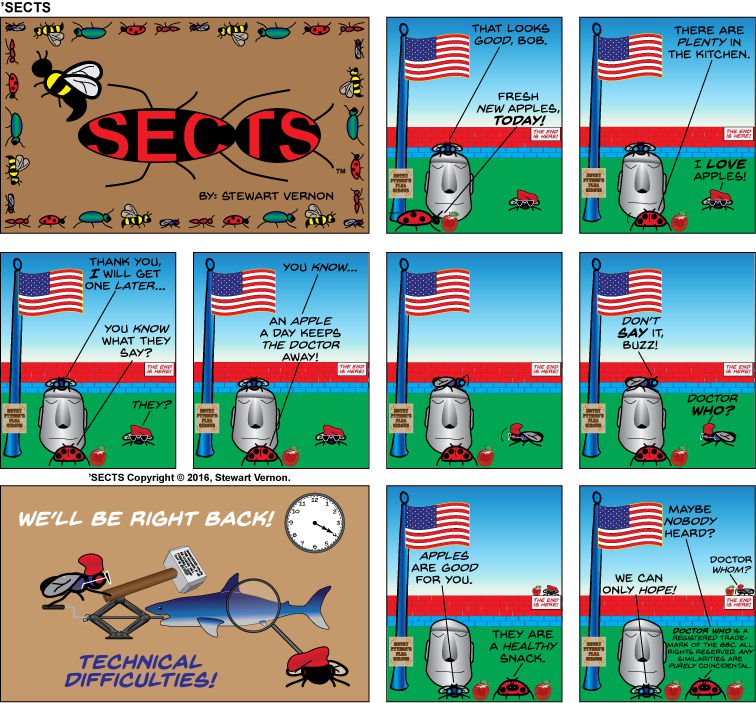 If you’re already a fan, then you know more than I could ever tell you in a brief blog post. If you’re not a fan, look it up! 🙂 Seriously, it is a wonderfully unique and uniquely British take on aliens and time-travel that you can’t help yourself but enjoy. One of the interesting twists with the Doctor is his ability to regenerate. It’s a beautiful solution to an old problem in television… what do you do when the main actor wants to move on but you still want to keep the show running? This nifty little work around allows the show to continue while replacing the Doctor with a new actor and not insulting the viewer OR dissing the previous actor. The show must go on… and it does! 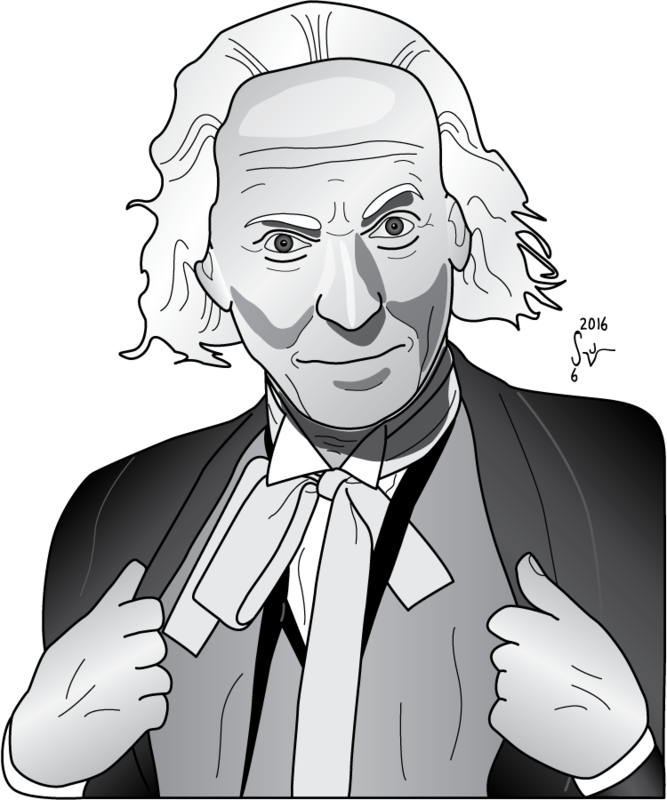 I’ve decided to tackle illustrations of all the Doctors, beginning with the very first one… William Hartnell. The early years of the show were in black and white, so I opted to work this illustration only in shades of grey instead of in color. I plan to do the same for the second Doctor when I get to him. I feel like this has a nice effect, and it also keeps true to how most people will recognize seeing William Hartnell as the Doctor. Hartnell’s Doctor was a little gruff and brash, but also grandfatherly to his companions, ultimately saving the day and chastising them for getting into nonsense along the way. 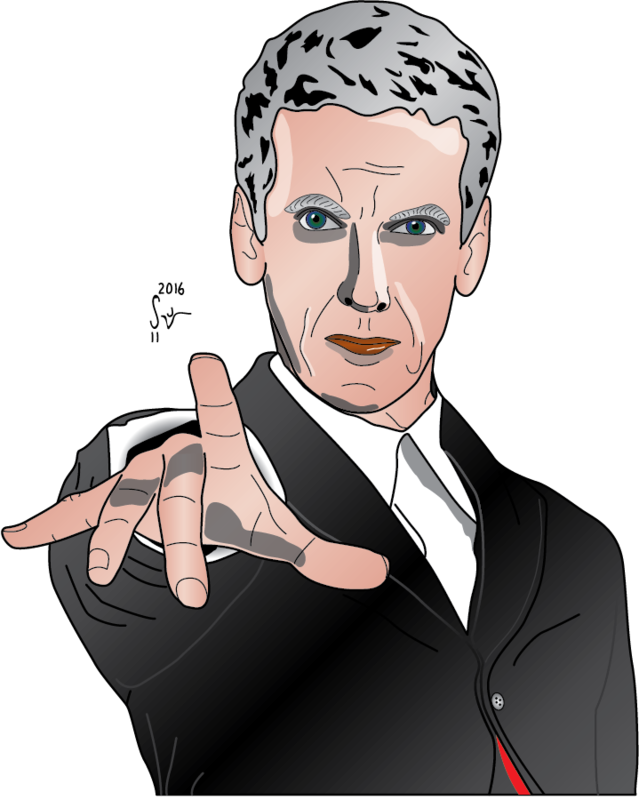 I haven’t yet decided whether to draw the Doctors in order… or skip around. 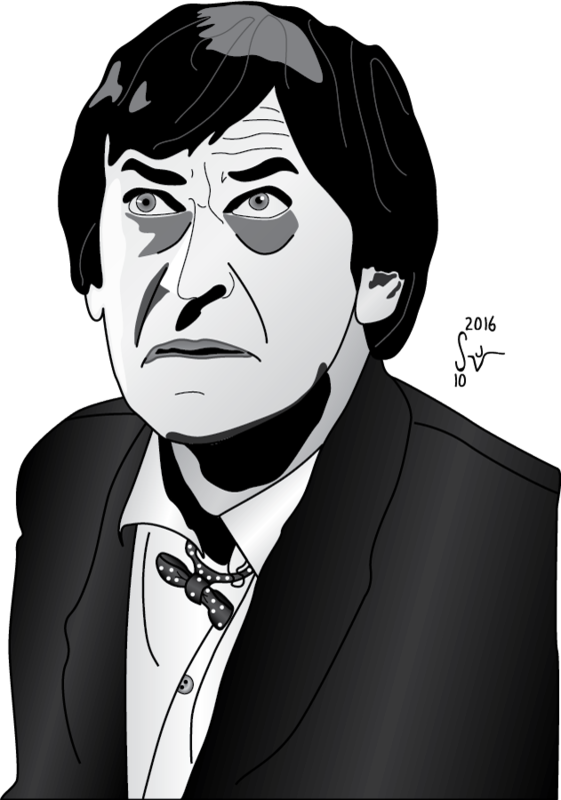 My next in the series will either be the second Doctor, portrayed by Patrick Troughton, to complete my black and white illustrations or I might skip to the end and go with the current Doctor, Peter Capaldi. Either way be on the lookout for all the Doctors coming soon to this very blog! Please let me know what you think, and feel free to wax poetic on your love of this timeless (see what I did there?) bit of science-fiction. 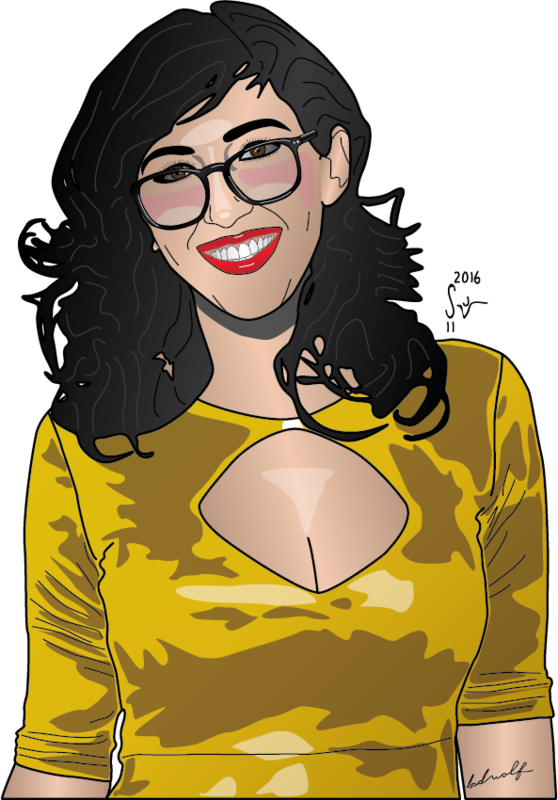 Remember, if you’d like an original commission by me or would like to hire me as an Illustrator, please use the Contact page and let me know as much as you can about your request.